Play advanced without wires or limits. 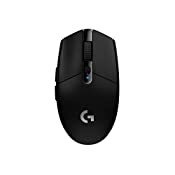 Logitech G305 LIGHTSPEED is a wireless gaming mouse designed for high-performance in your favorite PC games. 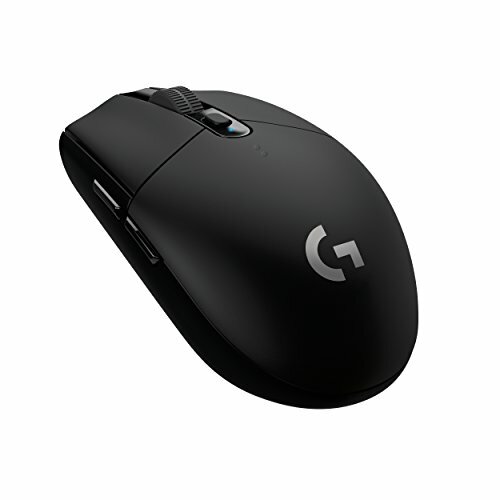 G305 features the next-gen Logitech G HERO optical sensor with 200 to 12,000 DPI sensitivity for competition-level accuracy. LIGHTSPEED wireless technology gives you super-fast 1 millisecond performance that’s as fast as wired. With incredible power-efficiency, G305 stays powered and ready to play for up to 250 hours on a single included AA battery. 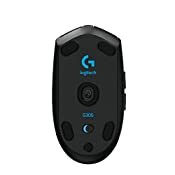 Play anywhere with an ultra-portable, lightweight gaming mouse that weighs in at only 99 grams, is easy to take with you, and has built-in storage for the included USB wireless receiver. 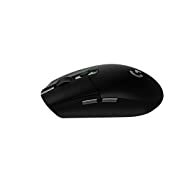 Use Logitech Gaming Software to quickly program 6 buttons with instant multi-action commands, DPI settings and more. 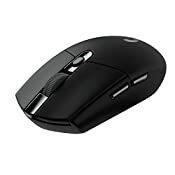 G305 is the LIGHTSPEED wireless mouse for all.